EXPIRED DEAL: B&H this week has Apple's Early 2015 13" MacBook Pro (3.1GHz, 8GB, 512GB) for $1,799.00 with free shipping and no sales tax outside NY. This is the lowest price by over $128, according to our Mac Price Guide and the lowest price ever for this model. EXPIRED DEAL: B&H this week has Apple's Early 2015 13" MacBook Pro (3.1GHz, 16GB, 1TB) for $2,399.00 with free shipping and no sales tax outside NY. This is the lowest price by over $147, according to our Mac Price Guide and the lowest price ever for this model. EXPIRED: Ahead of the holiday shopping season, the Apple Watch has seen its first-ever discounts from authorized resellers. Currently, B&H Photo Video ($20-30 no tax outside NY & NJ ) is offering the lowest prices anywhere through instant savings on the wearable. See all the models and discounts here . Delivering the lowest prices ever on numerous models, B&H's holiday sale knocks $200-$300 off these key 13" MacBook Pros (Early 2015) with free shipping and no sales tax collected on orders shipped outside NY. These are the lowest prices ever for these models, according to our Mac Price Guide . Discounted AppleCare is also available with each Mac after adding the Mac to your cart. SOLD OUT: Apple authorized reseller and AppleInsider sponsor B&H Photo is is offering its remaining Apple 128GB iPad Airs with Wi-Fi + 4G LTE in Space Grey, for $469 with free shipping and no sales tax collected if the order is shipped outside NY. That's $460 off their original retail price, $260 off their recently reduced retail price, and the lowest current price anywhere for this model, according to our iPad Price Guide . B&H also offers the same model in white . bhphotovideo.com/c/product/1011268-REG/apple_mf029ll_a_128gb_ipad_air_sprint.html/BI/1717/KBID/2301">for $499 . Several Apple Authorized Resellers are now listing iPad Pros in our iPad Price Guide , most notably MacMall, which currently has all of the Silver and Gold models shipping next day (see links below) at modest discounts and no sales tax outside CA, CO, GA, IL, MN, NC, NY, TN, and WI. Additionally, B&H expects to begin shipping orders by next week and is taking pre-orders for all models with free shipping and no sales tax outside NY. A handful of Apple authorized resellers this week have slashed and matched each other's pricing for every model of Apple's 12" MacBook family, with discounts ranging from $100 on the entry-level configuration to $200 on the most equipped configurations. With the exception of only a couple of configurations, these current prices are the lowest we've seen for these new MacBooks. The table below includes links to each of the retailers participating in the price match at the discount to Apple's price on the far right. This list is accurate as of press time, but shoppers should always consult our live Price Guides , as prices do fluctuate on a regular basis. Apple Authorized Reseller Adorama has renewed a killer deal that knocks the price down by $700 from its original price to an industry-low $1,799.00 . It's also offering this same model with AppleCare included for just $2,009.99 ($838 off) when using the links in this article (or our Price Guides ) and then combining promo code APINSIDER with this $50 AppleCare rebate . Both include free shipping and Adorama also does not collect sales tax on orders shipped outside NY & NJ. Step-by-step instructions for securing both of these deals are below. Back for a Limited Time Only: This deal from AI and Apple Authorized Reseller Adorama offers Apple's mid-2014 11" MacBook Air (1.70GHz/8GB/512GB) model MF067LL/A for $999.00 ($650 off) without AppleCare or for $1,089.00 with AppleCare ($809 off) when combining promo code APINSIDER with this $50 Rebate (issued in the form of a Amex pre-paid card). Each also includes free shipping and no sales tax collected outside NY & NJ. To take advantage of either of these offers, please follow the detailed steps below. B&H Photo Video is selling a wide variety of Apple Watch and Apple Watch Sport models at discounts of $50-$70 , with prices as low as $299.00 . More importantly, all orders include free shipping and no sales tax outside NY. Non sport models also include a free $100 B&H Gift Card. EXPIRED: AppleInsider has teamed up with Apple authorized reseller Adorama to offer a Free Apple SuperDrive & Free AppleCare on several Mid-2015 15" MacBook Pros , as well as a Free Apple SuperDrive & 50% off AppleCare on several Early-2015 13" MacBook Pros & MacBook Airs . But more generally, these two promotions combine to offer readers a Free Apple SuperDrive and between 25% and 100% off AppleCare on every possible 2015 13" MacBook Air, 13" MacBook Pro and 15" MacBook Pro. For the next 4 days, Apple authorized reseller B&H is offering AppleInsider readers its lowest price ever on Apple's early-2015 13" MacBook Pro (2.7GHz, 8GB, 256GB) model MF840LL/A at $1,349.00 ($150 off) when using the links in this article or our Mac Price Guide (you must use these links and click straight through; you can't combine this offer with cash back sites, and don't open the link in a new tab either). This is the lowest price ever for this new MacBook and B&H also won't charge sales tax on orders shipped outside NY. The Apple reseller is also offering model MF839LL/A with half the storage (128GB) for $1,179.00 ($120 off). Till Friday (11/12) at 4:30pm, Apple authorized reseller B&H is offering its lowest price ever on Apple's early-2015 13" MacBook Pro (2.7GHz, 8GB, 128GB) model MF839LL/A at $1,179.00 ($120 off) when using the links in this article or our Mac Price Guide (you must use these links and click straight through; you can't combine this offer with cash back sites, and don't open the link in a new tab either). This is the lowest price B&H has ever offered for this new MacBook and it also won't charge sales tax on orders shipped outside NY. It's also offering model MF839LL/A with twice the storage (256GB) for $1,349.00 ($150 off). EXPIRED: In an effort to best last year's holiday deals, AI one of Apple's authorized resellers are teaming up to offer < href="http://appleinsider.com/articles/15/11/06/10-days-only-free-applecare-free-apple-superdrive-with-15-macbook-pros-late-2015">Free AppleCare, a Free Apple SuperDrive, and cash discounts on a handful of Late-2015 15" MacBook Pros (including both key retail configurations), or a Free Apple Super Drive and up to 80% off AppleCare with the remainder of the 15" MacBook Pro lineup. Both deals come courtesy of Apple authorized reseller Adorama and AppleInsider and expire on 11/16/2015. Apple authorized reseller MacMall has dropped the price of Apple's high-end, early-2015 13" MacBook Pro with Retina display (2.9GHz, 8GB, 512GB) model MF841LL/A by $100 to $1,699.99. However, AppleInsider readers who use the links in this deal post and then apply promo code APPLEINSIDER01 can drop the price down to an industry low of $1,665.99 . That's over $133 off Apple's suggested retail price and the lowest price anywhere by $35, according to our Price Guides . Shipping is free and MacMall also won't collect sales tax on your order if its shipped outside CA, CO, GA, IL, MN, NC, NY, TN, and WI. What's more the same coupon code will work on all other MacBook Pros from MacMall listed in our Price Guides. EXPIRED. CHECK BACK SOON. Through Oct 31st, Apple authorized reseller Adorama and AI have teamed up to offer a $100 instant discount coupon on Apple's early-2015 13" MacBook Pro (3.1GHz, 16GB, 512GB). This coupon, when paired with the reseller's existing discounts, delivers a combined instant discount of $230 , dropping the price to $1,969.00. This is the lowest price anywhere by roughly $100 and the lowest price every for this model, according to our Mac Price Guide. 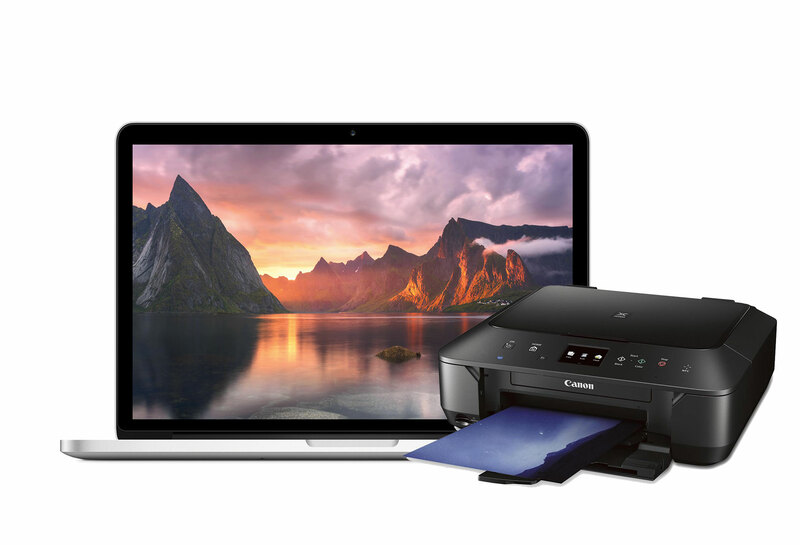 Plus you get a Free AirPrint-ready Canon PIXMA MG6620 Wireless Inkjet Photo All-in-One Printer. The same deal with AppleCare is available for $2,098.00 ($350 off). The same coupon and free accessory offer will also deduct $30-$50 from most other early-2015 13" MacBook Pros listed in our Mac Price Guide by Adorama, also yielding the lowest prices anywhere for those models. Simply substitute clicking one of those Adorama pricing links for Step 4 in the instructions below to purchase a different MacBook Pro. Until Feb 27th at 11:59pm only, Apple authorized reseller B&H Photo & Video is exclusively offering AppleInsider readers the industry's lowest price on Apple's current 13" MacBook Pro (2.9GHz, 8GB, 512GB) at $1,599.00 , which is $200 off MSRP and the lowest price anywhere for this model (MF841LL/A) by over $20, according to our Mac Price Guide . Not only that, it ships free with no sales tax if you ship it to an address outside NY state. The next closest retailer in price also collects sales tax on all orders. To get this price, you must click directly through the links in this article (or the B&H links in our Price Guides). If you do not see the advertised price, try restarting your browser and trying again. If you think all hope is lost after that, it isn't; just drop us a line at [email protected] and we'll get you sorted out. For a limited time, until supplies run out, B&H Photo is offering Apple's 13" MacBook Pro (2.8Ghz, 8GB, 512GB) for $1,499.00 with free shipping and no sales tax on all orders shipped outside NY state. That's $300 off MSRP and the lowest price anywhere, according to our Mac Price Guide . EXPIRED. CHECK BACK SOON. Apple Authorized Reseller Adorama has teamed exclusively with AppleInsider to offer an exclusive discount coupon (APINSIDER) that drops the price of all 12" MacBook with AppleCare configurations to the absolute lowest prices anywhere, as can be seen in our Macs with AppleCare Price Guide (also below). In the case of Apple's Silver 12" MacBook (1.2GHz 8GB RAM 512GB) model MF865LL/A, the coupon current drops the cost of the MacBook with AppleCare to $1,594.00 , completely deducting the cost of AppleCare from the bundle (which Apple sells for $1,848). Each also includes free shipping and a copy of Corel's new Creative Suite. Also, if you live outside NY & NJ, sales tax also won't be collected on your order. The same coupon will deduct between $147-$238 from all other 12" MacBooks with AppleCare. Step-by-step instructions for this deal are also below. EXPIRED: Until Oct 31st, AppleInsider has teamed up with Apple Authorized reseller to offer $70 instant discount coupons (when you apply promo code APINSIDER at checkout) on every single configuration of Apple's new 21.5" iMacs with 4K Retina displays (as well as all iMac 5Ks and 21.5" HD iMacs ). When combined with the reseller's existing discounts, this knocks at least $70-$79 off every single model, yielding the lowest prices anywhere across the entire iMac 4K product family, and dropping the entry-level model to $1,429.00 after the coupon. A list of available configurations, as well as step-by-step instructions for this deal, follow below. EXPIRED: Until Oct 31st, AppleInsider has teamed up with Apple Authorized reseller to offer $70 instant discount coupons (when you apply promo code APINSIDER at checkout) on over 100 configurations of Apple's new 27" iMacs with 5K Retina displays (as well as all iMac 4Ks and 21.5" HD iMacs ). When combined with the reseller's existing discounts, this knocks at least $79 off every single model, yielding the lowest prices anywhere across the entire iMac 5K product family, and dropping the entry-level model to $1,719.99 after the coupon. A list of available configurations, as well as step-by-step instructions for this deal, follow below. EXPIRED: Until Oct 31st, AppleInsider has teamed up with Apple Authorized reseller to offer $70 instant discount coupons (when you apply promo code APINSIDER at checkout) on every single configuration of Apple's new 21.5" iMacs with HD displays (as well as all iMac 4Ks and 5Ks ). When combined with the reseller's existing discounts, this knocks at least $70-$79 off every single model, yielding the lowest prices anywhere across the entire product family, and dropping the entry-level model to $1,029.00 after the coupon. A list of available configurations, as well as step-by-step instructions for this deal, follow below. AppleInsider has teamed up with Apple authorized reseller Adorama to offer up to $219 off iMac 5Ks plus throw in a free 1TB WD My Passport Drive, free Canon AirPrint Printer, & free LG Super Drive . Get $100 in iTunes Gift Card value for $80 with two $50 iTunes Gift Cards, or $200 in value for $160 with two $100 iTunes Gift Cards when using Best Buy's Buy One, Get One 40% off iTunes offer. Add any two of these iTunes Gift Cards to your cart and begin the checkout process. During the end of the checkout process, there is an option to enter a "Promotional Code". Apply promo code ITUNESDEAL and it will take 40% off the value of the second card. EXPIRED. CHECK BACK SOON. AppleInsider and Apple authorized Reseller Adorama have teamed up to offer Apple's early-2014 13" MacBook Air (1.4GHz, 4GB, 256GB) model MD761LL/B for $1,199.00 $879.99 with Promo Code APINISDER, which is $319 off its original MSRP, the lowest price anywhere by $229, and the lowest price we've seen this year for a brand new, unopened 13" MacBook Air, according to our Price Guides . Or use the same promo code to get this model with AppleCare for $1,049.99 ($398 savings). Ships free with no sales tax collected if your delivery address is not in NY or NJ. Available while supplies last. This is a closeout item. It will sell out soon and once it does, it will not be restocked.